Tonight was the third time I've seen PT Walkley. The first time was when he opened up for Weezer. That night, I was really impressed by his band's really rockin' set. I wrote about the set in this blog and his publicist contacted me to ask if I would like to see him at Joe's Pub. For that second time, his set was just as good but more sedate than it was opening for Weezer. Out of all three shows, tonight's was the best. There were some surprises like the guy who came out with a saw and a bow to play on “Sanitarium.” Walkley's wife Michel also came out to do a song they wrote on a plane together titled “Lucky Ones.” Then there was the encore surprise which was a segue into a chorus of "Maybelline." Two of my favorites songs are “Radio” and “Mediocre,” but last night I added “What's What” to the list. The song reminds of Nick Lowe and was included in the portion of the set Walkley calls his Rock Block. (Hmmm – sounds like – nevermind). Walkley ended the Rock Block with “Up The Walls,” which also must have been the last song of the entire set. Right after the song, Walkley stated that he was going to skip the exiting and returning to the stage;he would just do the encore. This time around, what I found enjoyable was that the band looked like they were having fun. Earl Maneein seems like the bad boy of the violin section. Maneein and Dale Stuckenbruck looked like they were trying to hit each other with their bows while playing. I think Liuhwen Ting was laughing but stayied out of their way. On “Punch Drunk,” Maneein took a wild man solo like a warrior with a sword. PT Walkley made the audience laugh when he introduced “Something More” and said the beginning of the following song sounded like but wasn't "Eye of the Tiger" or "White Wing Dove." 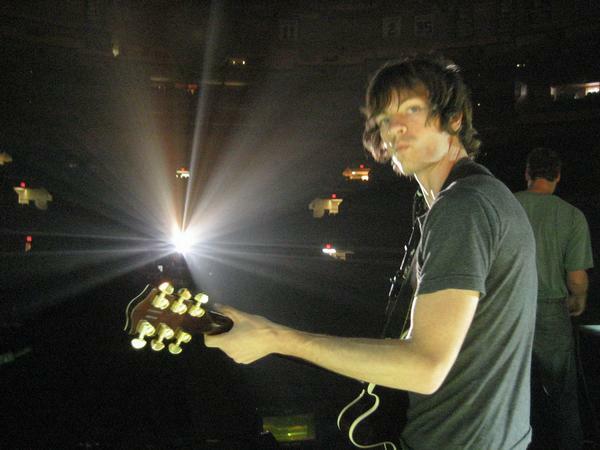 When Eric Barlow took his guitar solo on "Somebody," he made the weirdest guitar face I have ever seen. I couldn't tell if he joking around or being serious. Tonight, PT Walkley seemed more settled into his material. Therefore, he seemed to have a lot more fun on stage. If you read my blog a lot, you know that I'm big on seeing people on stage have fun. I feel that if a band is having fun it definitely translates to the audience. Tonight, that is exactly what happened.